A tad cynical with a mixture of dry humor, author Robert Wright gives an entertaining speech about how “non-zero-sumness” — the network of linked fortunes and cooperation that has guided our evolution to this point, as defined by TED — is the basis of collaboration and creating a better world. Through his “grim inspiration” he defines how expanding our moral awareness is the founding factor in the growth of tolerance. I recently had a great interview with SkiDUCK (Skiing and snowboarding for Disabled and Underprivileged Children and older Kids), a newly formed non-profit organized to help children in unique and expanding ways through playing in the mountains. As any non-profit knows, finding the money needed is an ongoing job and involves interesting ways of collaborating. Whether it’s exposure, communication equipment or supplies, support is vital. For SkiDUCK this is no different. In response to their need for efficient technology they have entered a contest to win a Windows 7 Desktop. The competition involves a little video they posted on YouTube. The decision on which organization wins the computer system prize is based on the amount of times the video is viewed, as well as its rating. So, if you believe that all children should get a chance to play on glistening, cold snow in the mountains, than help SkiDUCK win. Watch the two minute video and then click on the star rating system below the video on the left hand side. Each click counts! On behalf of the kids and SkiDUCK, thank you! While doing research for a restaurant guide that I wrote for the city of Bariloche, Argentina, I was lucky enough to get to know some of the owners of the great dining experiences around town. You see, an Irishman, German and Argentine came together to create one of the best restaurants in the Lakes District of Patagonia. Chef Ed, a Michelin-trained culinary artist is a gifted creator of designer dishes with flair. The house sommelier is the happy-go-lucky German, Sebi, whose smile and knowledge about accommodating wines are worth the trip alone. And then there is the beautiful, enchanting and welcoming host, Coni, that offers the much-needed female touch. SM: What do you feel is the premier aspect of Butterfly? Chef Ed: The Concept. In Butterfly we serve a 7 course tasting menu every day, prepared daily with the best ingredients the market has to offer. The evening in Butterfly is a special occasion and we never do re-sits. The table is yours for the evening. It’s for people who love food and wine like we do and we want you to feel special. If you leave a top class restaurant and they didn’t make you feel special you may as well have stayed at home and cooked a steak with a good bottle of wine. SM: With the three different cultures coming together for Butterfly, what do you feel is the major difference between Butterfly and other fine dining restaurants in Argentina? Chef Ed: Everything in Butterfly is done with love, it actually has nothing to with different cultures. We are three people from different cultures who all happen to be very like-minded in how we want Butterfly to be. The three of us do just about everything and we do it all with love. I cook with love, Coni prepares the restaurant, greets our guests and serves with love, Sebi chooses our wine menu, and even waters the garden with love. SM: What would you consider to be your signature dish? Chef Ed: I’m always asked and I never know what to say. I always think I should just lie and say “Creme Brulee with lavender ice-cream” or “Bouillabaisse au Paupillotte”, but I just can’t lie about food. I have no Signature dish, I get bored too easily to cook the same thing over and over again. Also I love to be inspired by what the market has to offer or what my regular guests ask me for, as opposed to what I want to cook. SM: Where do you find the majority of your ingredients? Chef Ed: With meat I am blessed in Argentina (and with lamb even more so in the Patagonia). And believe it or not I have also been blessed with great fish, 1000km from the coast! My fish is shipped fresh twice a week from Buenos Aires, they only send me what is good and most of the time I get fresher fish here than when I cooked in Ireland. Other products have been a little more complicated. Fresh vanilla beans have been shipped from Madagascar to my house in Ireland and then been smuggled halfway across the world to Bariloche. Every time friends or family visit us we have a shopping list for them. Noilly Prat, Midleton Very Rare whiskey, Italian Saffron, Sebi’s wine collection, etc. SM: How has the involvement of three cultures helped with creating Butterfly? Chef Ed: I think we all balance each other out very well. Sebi is German and keeps everything well organized. Coni the Argentinian keeps everything more in context and keeps us all sane. As for me the Irishman, I try to get everyone drunk regularly. SM: What is your favorite memory from creating the restaurant? Chef Ed: We opened the restaurant a month before Sebi arrived, as he was finishing up his job in Switzerland. Coni and I did everything on our own and we were counting the minutes to his arrival. He arrived in a Taxi in the middle of lunch service with the terrace full. After a 12 second welcome and having traveled for 40 hours he was put straight to washing dishes and helping me in the kitchen. He was even pleased with the welcome he got, he expected nothing less! SM: Do you have any suggestions for guests planning to visit Butterfly? Chef Ed: Skip lunch and ring ahead! SM: Is there a particular time of year that is better than others to visit Butterfly? Chef Ed: May and November are without a doubt the worst time to visit Butterfly as we are closed. As for the best time, I would recommend a warm summer evening, arriving early to enjoy a drink on the terrace before dinner. I never get bored of the terrace or the view we have of the lake Nahuel Huapi. 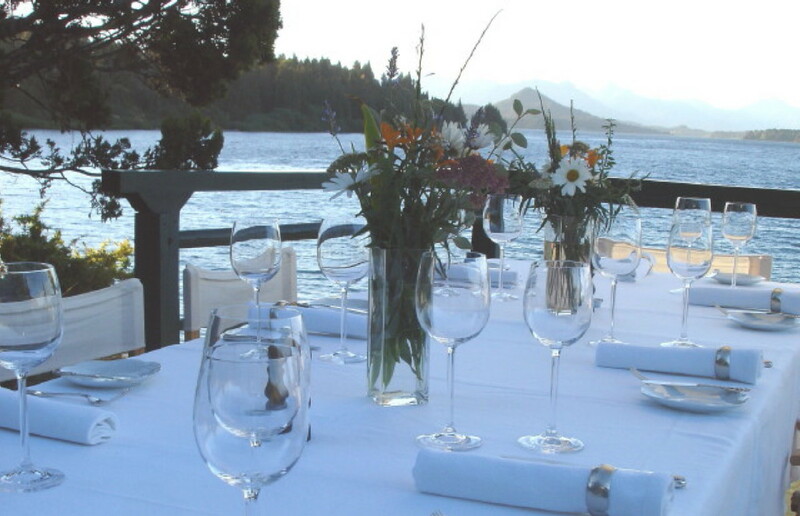 SM: What are the advantages to creating a fine dining experience in Bariloche? 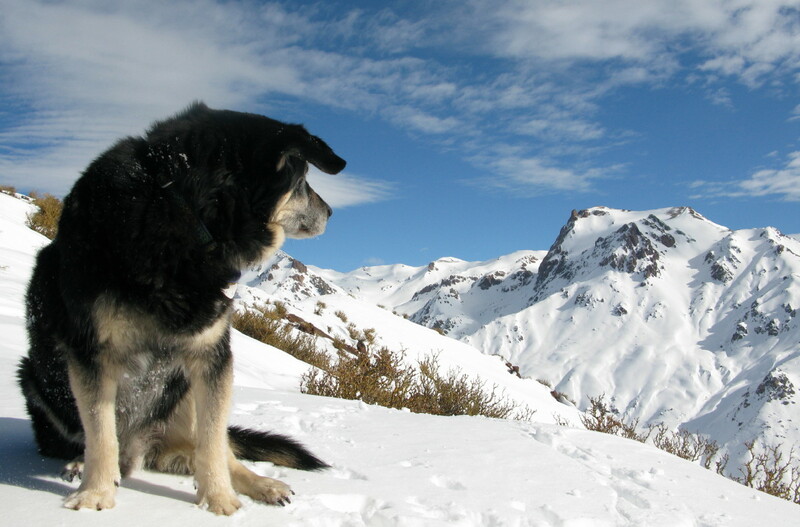 Chef Ed: Bariloche has the great advantage of being incredible the whole year round. It is one of the very few places in the world with a fantastic ski area for winter and everything you could possibly imagine for summer. Mountains, lakes, snow, sun, restaurants, nightlife, rafting, trekking, climbing, etc. The list is endless. For the restaurant it gives us the chance to have two strong seasons every year. In Bariloche we have the best of both worlds! SM: What are your favorite flavors of food to play with? Chef Ed: There is just too much good stuff. Garlic, lemon rind, vanilla, dried tomatoes, chilli, smoked trout, hazelnuts, saffron, basil, lemongrass, sage, nutmeg, lavender, potatoes, salt, coriander seeds, coriander plant, sole, onions, eggs, sweetbreads, prawn shells, ox-tail, brie, osso bucco, baby squid… I have no idea where to start on which are my favorite. I go through phases. I dried a load of tomatoes recently so I’m on a dried tomato buzz at the moment (Dried tomatoes with confied garlic, or olives, or basil, or candied lemon rind, or all of the above). With cheese, smoked trout or in risotto with roasted almonds and fillet of sole. In a few weeks it will be something else, I’m particularly curious about the new Peruvian/Japanese fusion movement and have recently got my hands on the Nobu cookbook to see what it’s all about. So that will probably be my next buzz. Thanks to Coni, Seb and Chef Ed for working together to create one of the best restaurants in Patagonia…if not Argentina. We’re all brilliant at something. I discovered my powers when I was four years old. When you’re young you’re more in touch with your real talents, but so often the 30 year slog knocks it out of people. A decade of brutal conflict in Nepal has left, by UN estimates, more than 35,000 school-age children in need of humanitarian support, basic education and other social services. Without it, hope is dim – life will be grim. 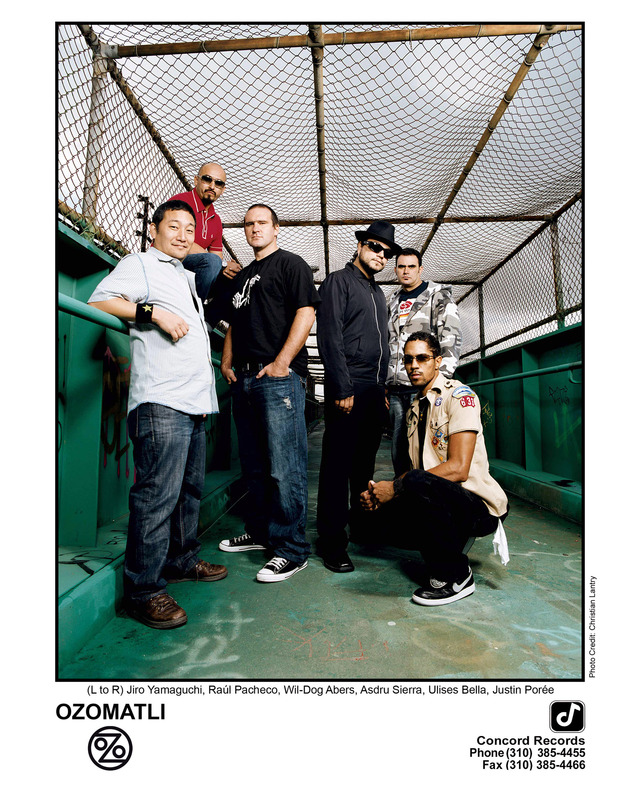 Enter Ozomatli (or “Ozo” for short), an eclectic nine-member, Los Angeles, three-time Grammy-award winning Latin, Hip Hop, and Salsa band. The musical brotherhood of Ozomatli was born from the desire to help the younger generation. 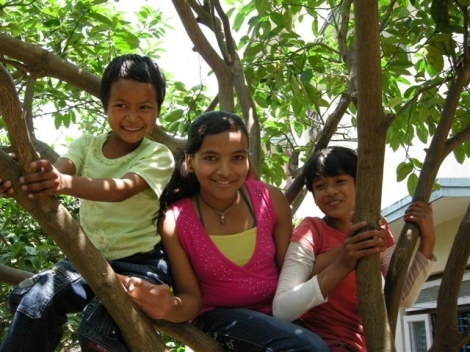 But in February 2007, a historical trip to Nepal took their interaction with children to another level all together and saved the lives of 27 children. 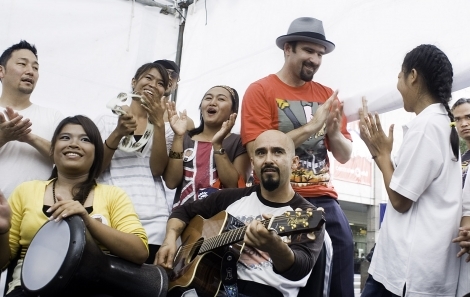 Ozomatli was invited by the U.S. State Department to Nepal as cultural ambassadors. Though the Nepalese had never heard of Ozomatli, they were eager to see them play. Twelve thousand showed up for the free concert. It became an all-time memorable event. It was the first peaceful non-protest, non-political mass gathering in Kathmandu following the country’s 10-year civil war. Nepal, also for the first time in its history, broadcast the concert live on national television and various radio stations. 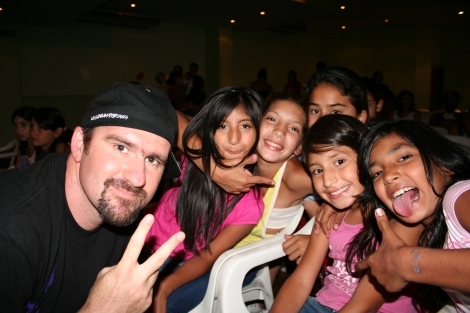 But amidst the sadness, the band found smiles: “There was an orphan that was abused beyond anything that we could understand, yet he could sing in five different languages, dance various dances, and play tons of different instruments. This guy was no more than twelve. He was yearning for anything positive. He started to play with our band. He just became one of us. Even though he could barely speak English, he became a part of us.” Wil-Dog says. That connection is creating a wonderful destiny for 27 souls. As of January 18, 2010, pro snowboarder Jeremy Jones‘ environmental non-profit, Protect Our Winters, has announced its support of France’s Mountain Riders through a grant, helping to promote sustainable development in the Alps. With the support of the Rip Curl Planet Foundation, Protect Our Winters (POW) is proud to announce our latest grantee; Mountain Riders, a non-profit organization located in Chambery, France. Protect Our Winters makes one grant per month to organizations that are consistent with their mission. Created in 2000, Mountain Riders raises awareness for environmental issues on the mountain and promotes sustainable development via ten European branches, 600+ members, and 220 days of on-hill events. Mountain Riders draws 3,000-plus volunteers to its resort clean up events and reaches over 25,000 skiers and riders annually through their on-snow event presence. Facilitating significant strides towards resort sustainability, Mountain Riders is a respected source of mountain-inspired environmental awareness, action, and education in Europe. POW is excited to help fund Mountain Rider’s roster of industry-leading programs, which include on-slope and in-school environmental education, industry environmental conferences, annual slope cleanups, an annual Eco Guide to ski and snowboard gear, a national charter for sustainable development at Mountain Resorts. “Mountain Riders is one of the most respected grassroots environmental organizations in Europe and their mission is directly in-line with ours”, said Chris Steinkamp, the Executive Director of Protect Our Winters. “We appreciate the generous support of Rip Curl and are thrilled to be able to support the efforts of Mountain Riders”. “Mountain Riders is solutions-oriented, riders-led, with great communications to make things moving in the mountains. Rip Curl has been an enthusiastic supporter for a few years now and we’re very happy to link this commitment to POW, which we trust to unite riders and the industry worldwide to preserve our natural environment and a sound climate for all”, said Eric Dargent, Environment Officer at Rip Curl/France. Protect Our Winters is a tax exempt, non-profit organization dedicated to reversing the global warming crisis by uniting the winter sports community and focusing efforts towards a common goal of winter preservation. 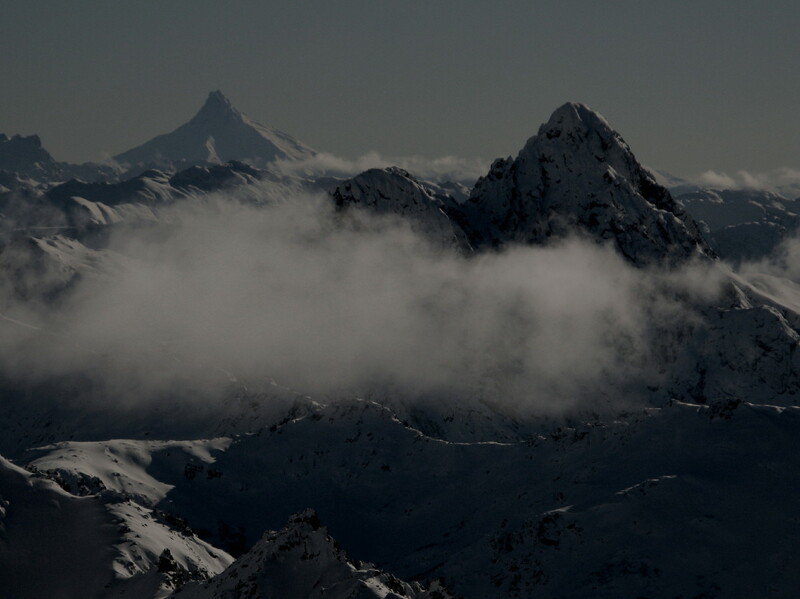 POW was founded in 2007 by Jeremy Jones, a professional snowboarder who is passionate about preserving winter sport industry and culture for current and future generations. Built on the snowsports culture’s inspired dedication to reversing climate change, POW has become an innovative leader in sponsoring effective renewable power, progressive environmental education, and organizing and enabling unique grassroots action. Born in Australia, Rip Curl has been a leading boardsports brand for over 40 years, offering high grade mountainwear for more than 20 years. With a strong focus on technology, we’re driven by the philosophy of the Search, from the heights of Chamonix to the barrels of Sumatra. We can see first-hand how these environments are affected by the ecological crisis and are strongly committed to do our part. Through the Rip Curl Planet Foundation we develop more eco-friendly products, like recycled PET mountainwear and boardshorts, and give as much support as possible to environmental groups like the Surfrider Foundation and Protect Our Winters. You are currently browsing the The Era of Collaboration blog archives for January, 2010.